Usually printed at the same time as Letterheads for reasons of economy and colour matching, we can design theses for print from your prepared artwork in specific PMS colours. 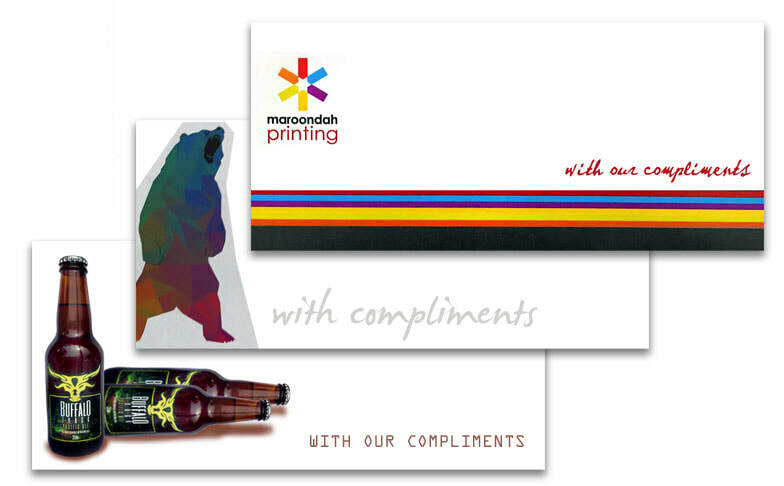 ​Your personalised stationery should make a bold statement and a lasting impression. When dealing with business, it’s crucial to balance professionalism and personality. With Compliments slips are best printed in your company colours at the same time as your letterheads as an Offset print run, for long runs which are cost efficient and colour correct. Short run Full Colour copying is also available where only small quantities are required. Colours can be close matched and are dependent on your artwork. 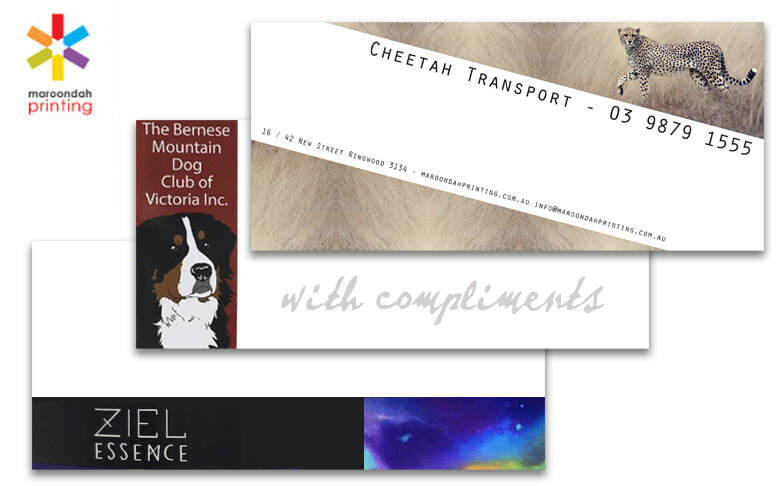 ​There are a variety of finishes including specialty papers, embossing and foiling available.